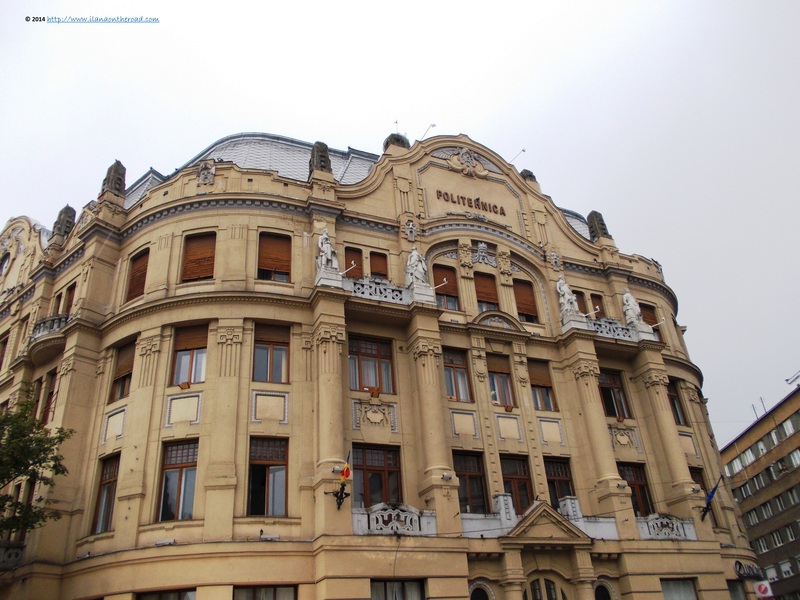 The first time I've been to Timisoara more than 10 years ago, I had to cope with a massive headache and wasn't able see too much from the city. The second time I arrived was on a long train-way from Budapest, trying to cope with just another massive headache. Plus a shocking dirty looking train station where I was helped though by a nice lady to get the best price for the next leg of the trip to Brasov. Once I had the ticket in my pocket and was out of the station, I calmed down in a cafeteria called La Noemi, serving a good cappuccino and some traditional tasty pretzel (covrigi). 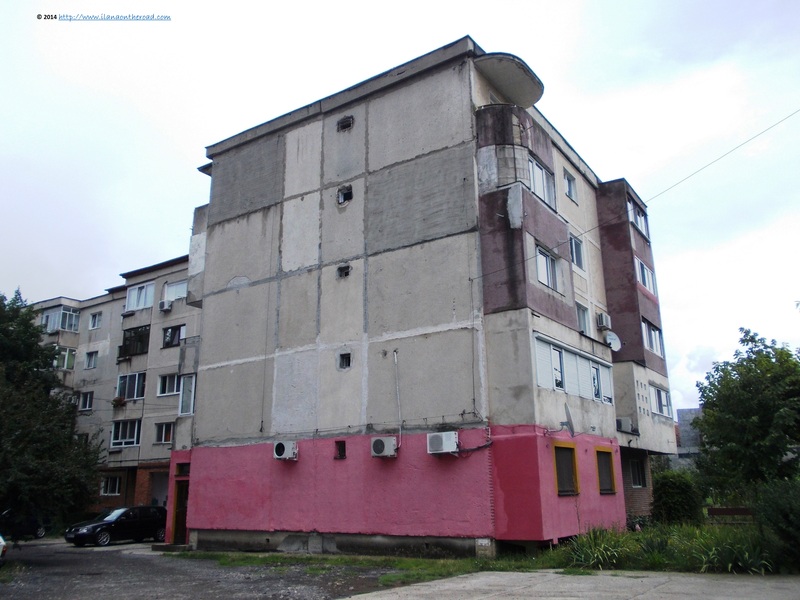 Around me, I had a lot of very ugly looking communist housing projects, trying to get a bit out of the grey crowd, like this pinky ground floor. What we gonna do next? 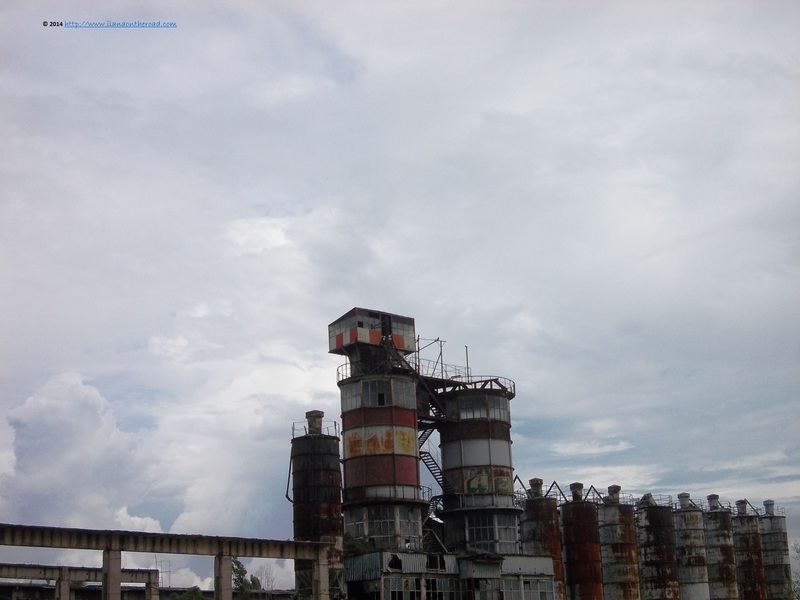 On the way to the small hotel we stayed, were the friendliness of the people helped me to ignore some muddy streets and dirty alleys, we noticed a lot of deserted industrial spaces, another testimony of the communist past of the city. With a nuance of regret, our taxi driver, in his mid-50s complained how the local industry doesn't exist any more, forgetting that probably he would have not been able to talk with foreigners if the communist dictator was still in power. 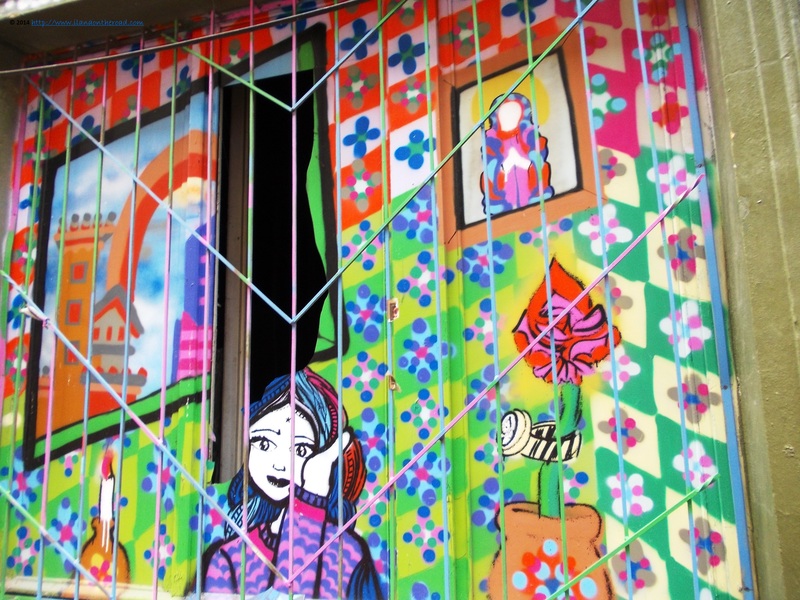 Too many historical considerations for a poor head like mine, so I rather tried to focus on the colourful present of the city, with colourful graffiti joyously invading the deserted urban spaces. Things changed a little bit more than some might want to recognize, it seems. 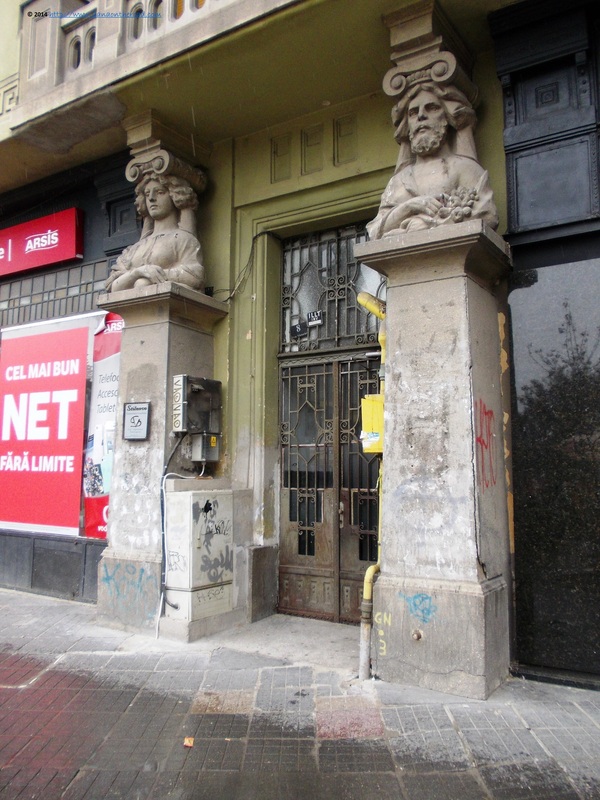 The contrasts are easy to notice in Romania, where poverty and luxury can co-exist easily only steps away. 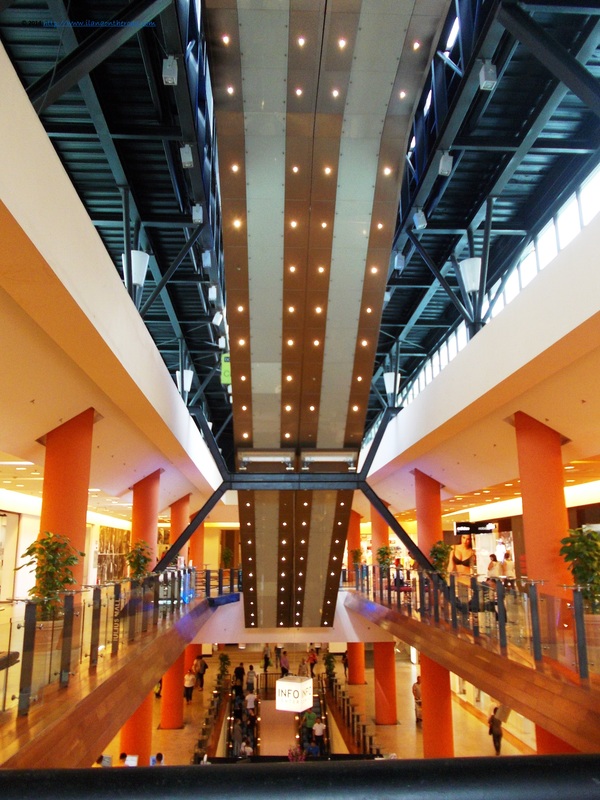 Close to the dirty industrial space, it is situated a huge multi-storey mall with a sophisticated multiplex home theater, a favourite meeting point of young people. Although they probably don't have the money to buy all the expensive clothes or electronics displayed, they enjoy the ambiance, meeting at the food court for social networking. The food is not that expensive, and besides the popular Mc Donald's and pizza and Asian foods there are also some local Balkan dishes one should definitely not miss, such as the pleskavica, made of various ground meats and potatoes. One good news about my headaches is that when it happens, I should definitely try to spend as much time as possible outdoors. 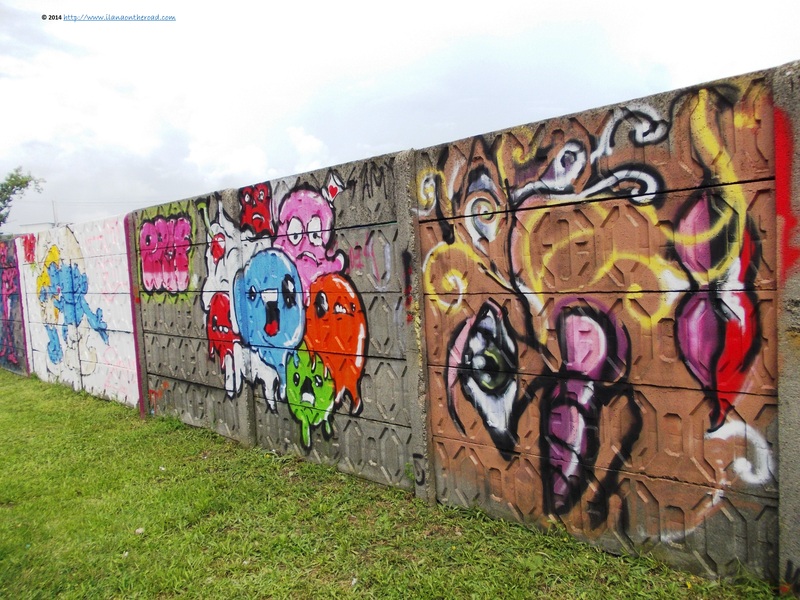 Hoping the cold rain will make me feel better, I took on Cuza Street, passing near a nice park with even nicer graffiti. Lacking too many tourist signs, we rather follow streets intuitively, hoping that sooner or later we will arrive somehow near the central area. 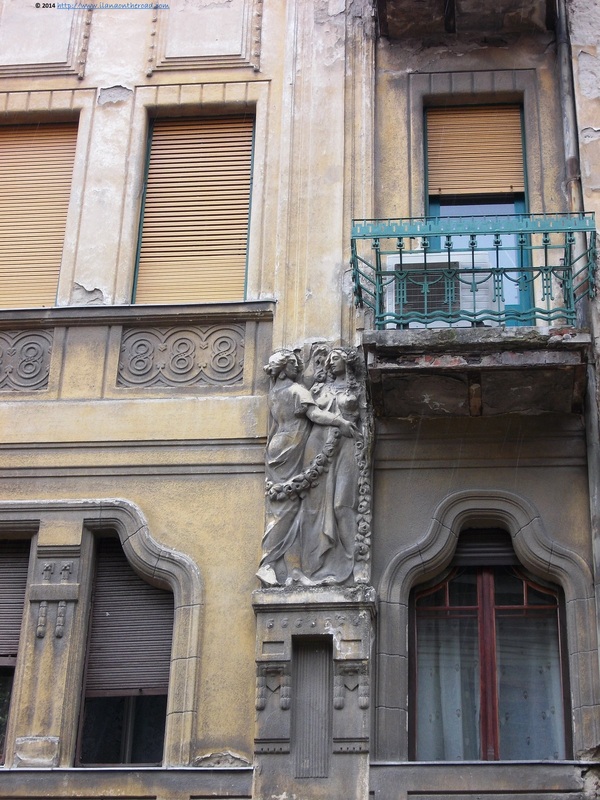 Slowly, we entered Eugeniu de Savoia Street and from there on, we were in the historical area. 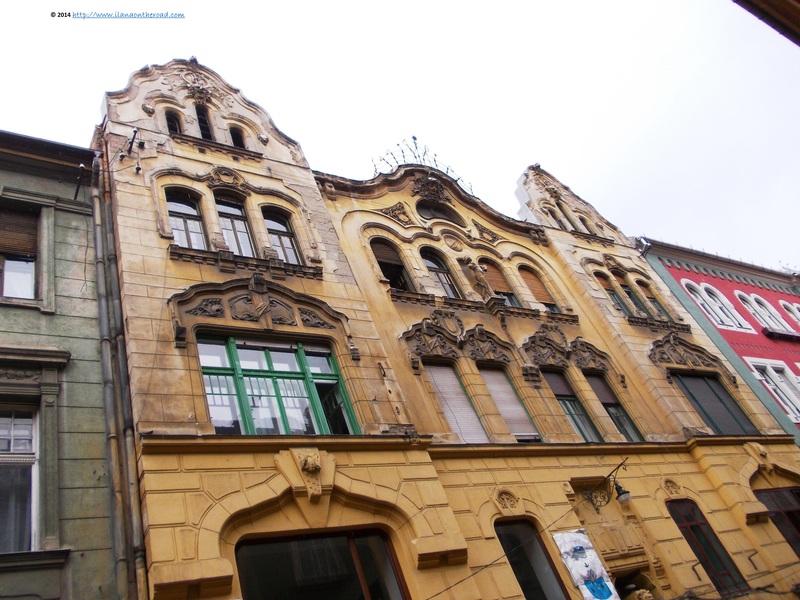 Compared to many other big Romanian cities, like Bucharest, for instance, Timisoara was not affected by megalomanic urbanist reshape that might have been destroyed the old constructions. However, for decades, the local budgets are suffering for dramatic lack of funding and the result is the decayed facades of classical buildings. The closer we were from the center, the bigger the problems. 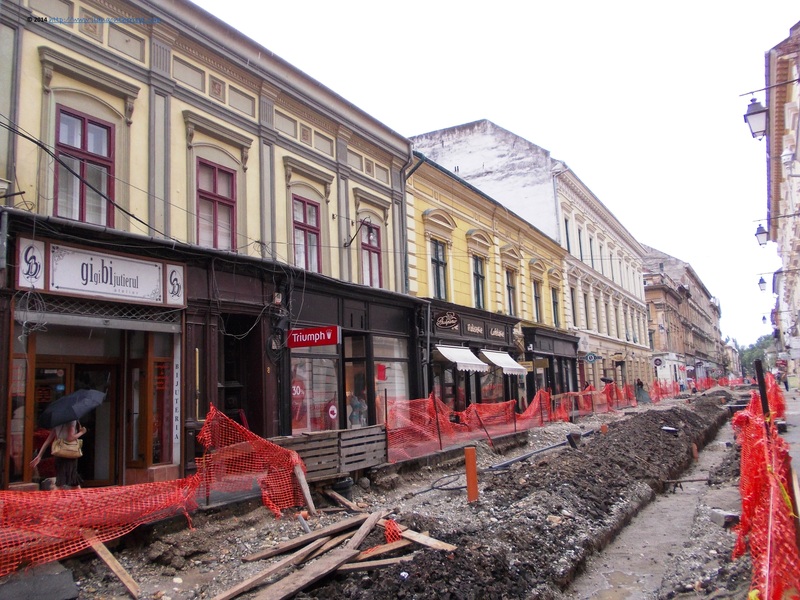 As Timisoara applied - and later on won (this post was written before the annoucement was done) - its candidacy for the status of European Cultural City in 2020, the new mayor started a massive refurbishing of the streets. On the long term, it can be a good thing, and only considered myself very unlucky to be here at the wrong time. On the other side of the muddy holes, cute shops and youngish coffee shops were winking at me. 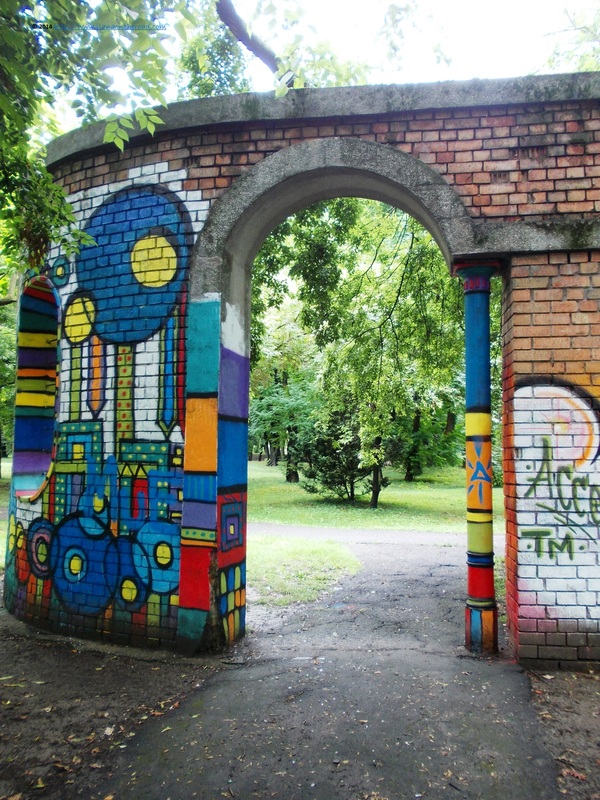 Among the rest of the country, Timisoara as the capital city of the Banat Region, assumed always a leading intellectual role, the city enjoying for a long time a multicultural reality of many languages spoken and an intermingling of cultures and identities. It was said that at the beginning of the century, Serbian, Hungarian, German, Yiddish as well as French were spoken currently on the elegant streets of the city. Streets that were the first in Europe to enjoy the benefits of electric light. Even during the communism, who mostly destroyed the multicultural past, Timisoara was always considered the door to Europe, and given its vicinity with the more liberal Hungary and Serbia, many products prohibited in the rest of the country - including soaps, and shampoos and chewing gum - were more available here on the black market. All these horror histories are hopefully gone for ever, and the city is trying to get back its charming days. Going back in the early time it's almost impossible, because many of the minorities and their representative intellectuals are long gone. Instead, the search for a new identity can be more interesting for the future of the new generation of people still living here. Timisoara is an university city, with many young people from the rest of the country and all over the world living here which can change and dramatically challenge the grey narrative of the past. 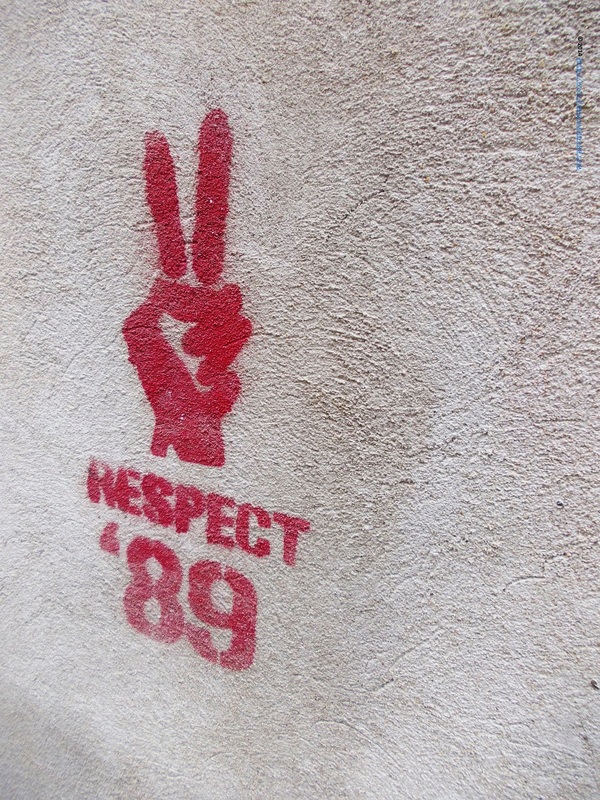 The graffiti in the central historical area are one of the best I've seen during my whole European trip and at a certain extent could be read as the message in a bottle of a new generation of Romanians. 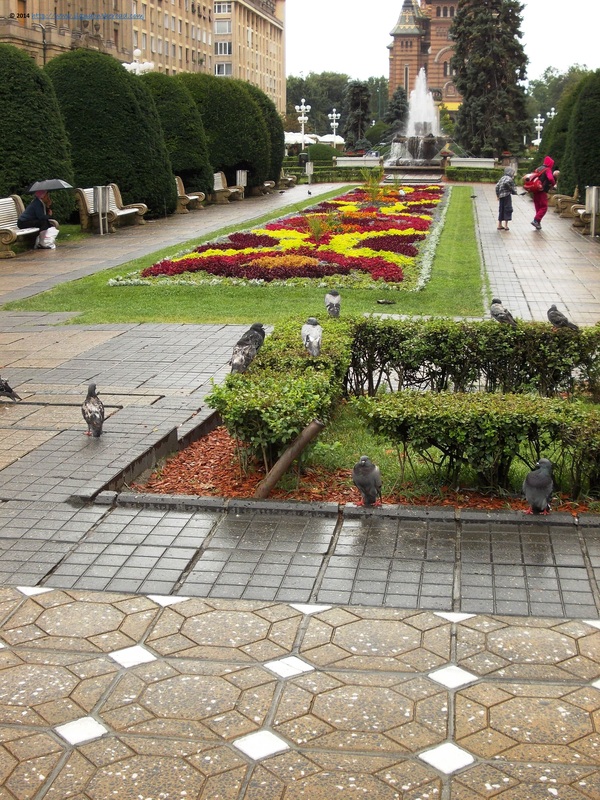 Timisoara was the first Romanian city that in December 1989 decided to end up the fear-hate relationship with the communist dictatorship. People went out of the street, prompting other cities to do the same. In just a couple of weeks, the country was finally out of the nightmare and although there are different interpretations and versions of what and why things happened there, it was about time that the darkness in which Romanian citizens were kept for too long to end up. 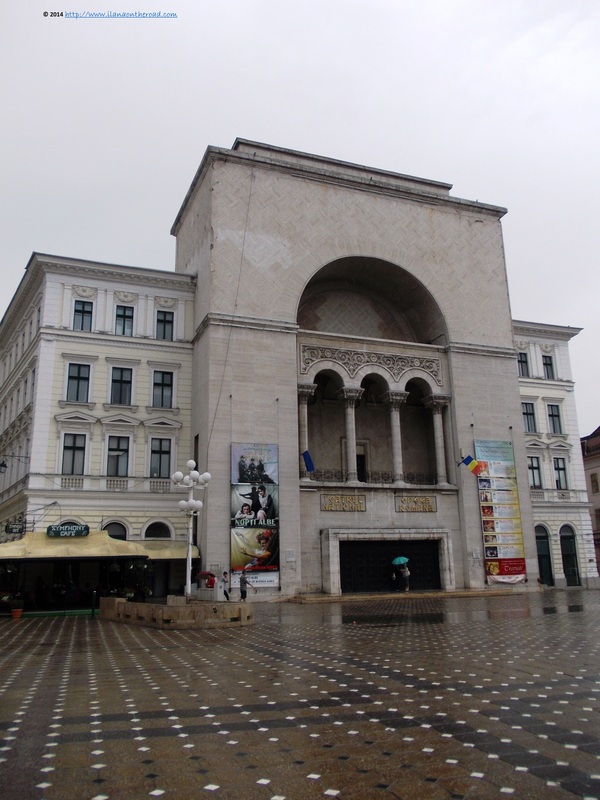 The Opera Square was one of the symbolic reunion points of the anti-communist demonstrators. Now, it was only the rain, us and some local people hurrying up. Very close from there, the small Tourist Information where we received a lot of insights about where to go next. 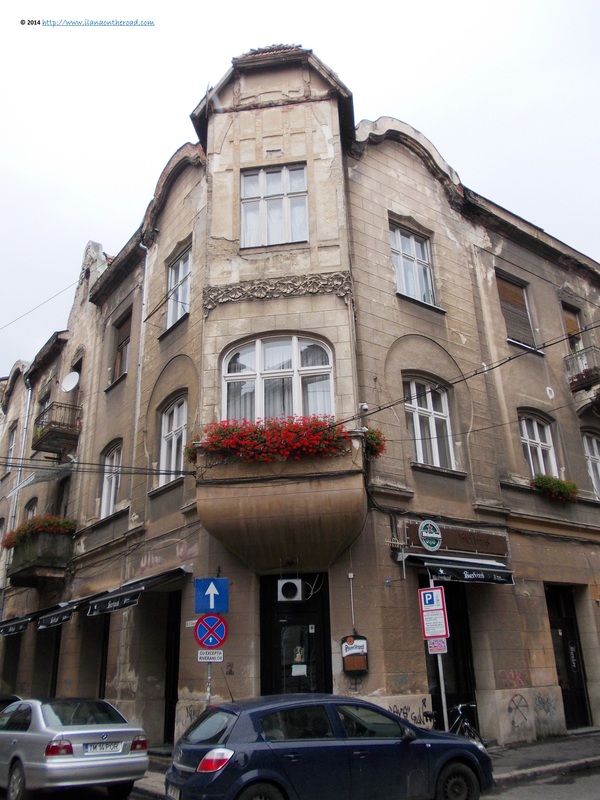 Interesting Art Nouveau buildings, relatively well preserved, showed a different face of the city and I wished I can find an extensive book about the history of the local architecture. Maybe the next time. The square in the front of the Cathedral is another place where people risked their life to fight for the freedom of children to play freely near the alleys, without the need to hurry up to spend their after school time waiting in the front of the shops for a little bit more sugar or maybe some bread. Despite the rain, the restaurants around were full of people and a carefree feeling was in the air. The architecture can be surprising if you dare to explore more and more. There are a couple of guided tours in English that dedicated to the culture and history including of the huge Roma palaces around the city. If you ask the locals about them, they will feel a bit annoyed about the topic, but it's one in a lifetime experience that tells something about the a relatively unknown European minority. The bad weather, the ugly headache, the exhaustion of the last long hours of train ride plus the perspective of an equally long trip shortened our stay in Timisoara. 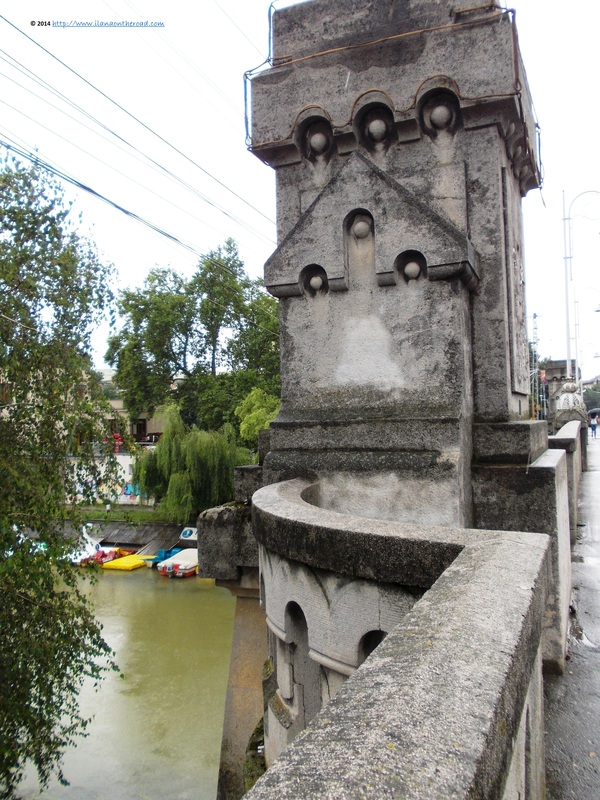 After a little walk on the bridge over the river Bega, we decided to slowly head back home for a healthy sleep. It was a short trip, but as the city won the competition to be an European Cultural City, I will dare to come back for getting to know the city in its newly restored glory.